The Robox is more than just a 3D printer. Designed to be the simplest, most reliable and comprehensive 3D printing platform available, the Robox features intuitive software and automated hardware to get you up and running right away. 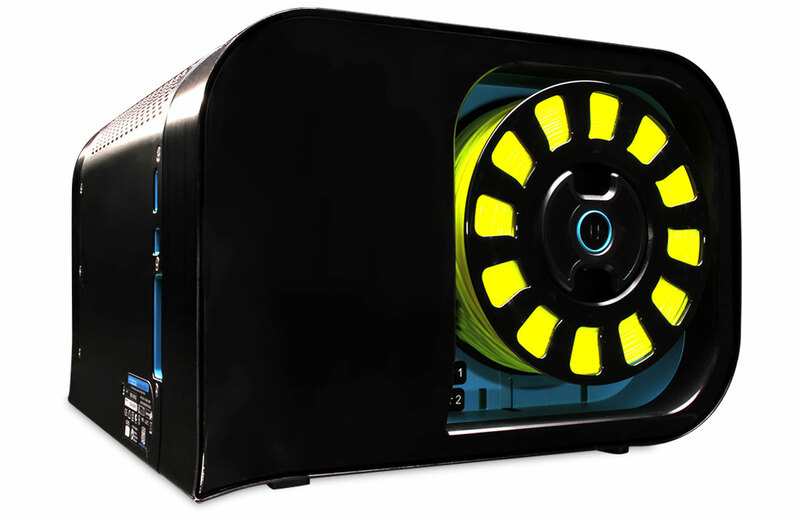 The Robox has also been future-proofed to take advantage of new manufacturing processes as they're developed. The quality of 3D printing is predominantly dependent on the resolution and accuracy of the motion axes. The printer must be capable of laying down accurate slices of plastic material layer after layer to produce a usable part. The Robox has been designed from scratch, ensuring the frame and motion systems are extremely rigid and accurately positioned. All motors and axes are attached to a single stainless steel frame, which is a reference surface for all motion. 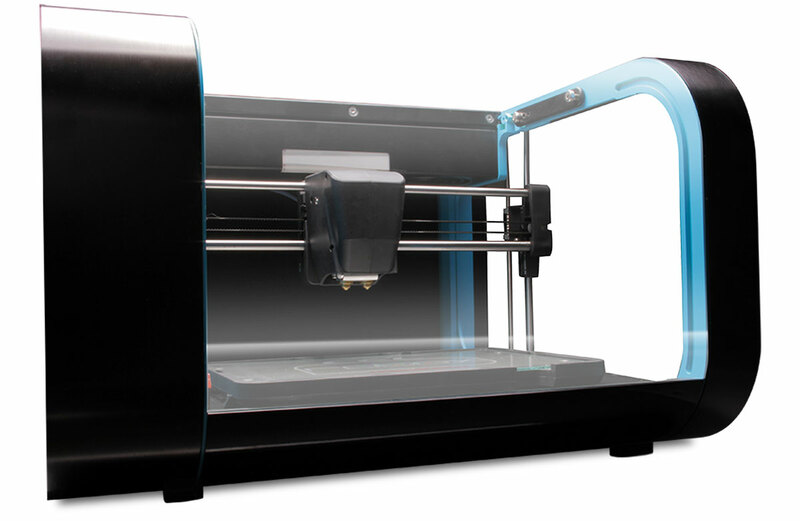 The frame is rigidly attached to injection-molded parts that form the body of the 3D printer, creating an especially stable platform for accurate high-resolution prints. One of the major problems with almost all 3D printers is that the printer bed must be manually leveled to ensure the first layer adheres correctly. This is a finicky process that has to be regularly repeated, making it a source of endless frustration for too many 3D printer owners. Well, the Robox designers have solved that problem. 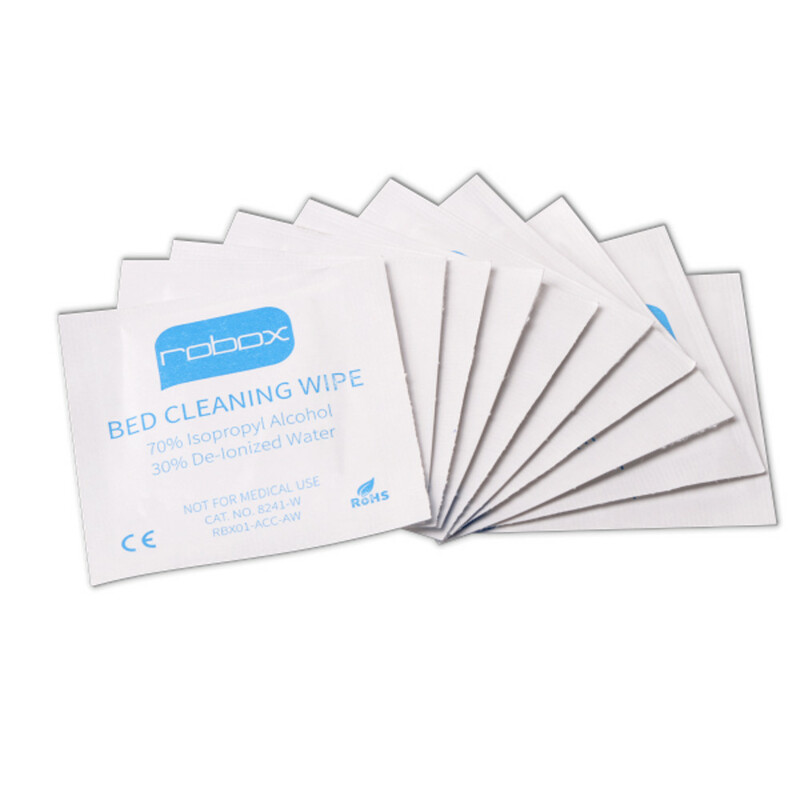 Robox uses a proprietary bed-probing mechanism to measure the location of the bed before every print. Since both Z motors are driven independently, they can be adjusted to ensure the X axis is always parallel to the print bed. 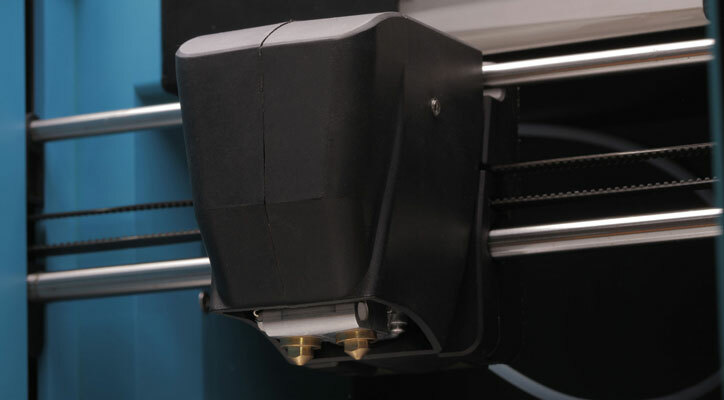 All of the motion axes are coupled to a single sheet metal part, reducing the need for factory calibration and ensuring that your Robox is perfect for printing straight off the production line. 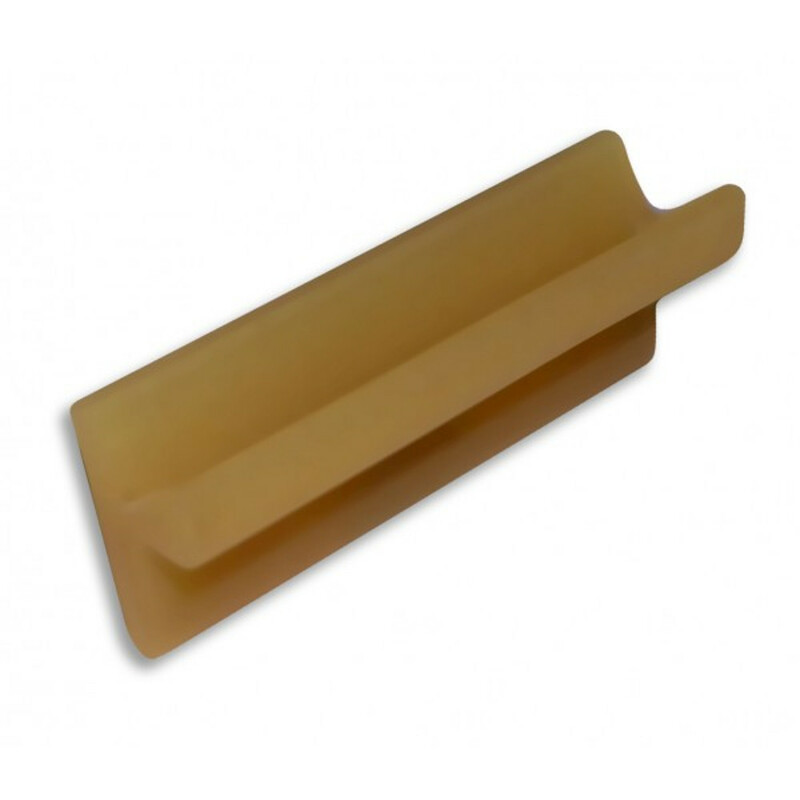 The use of injection-molded parts combined with sheet metal components produces a very rigid structure, while allowing for a stylish consumer product. 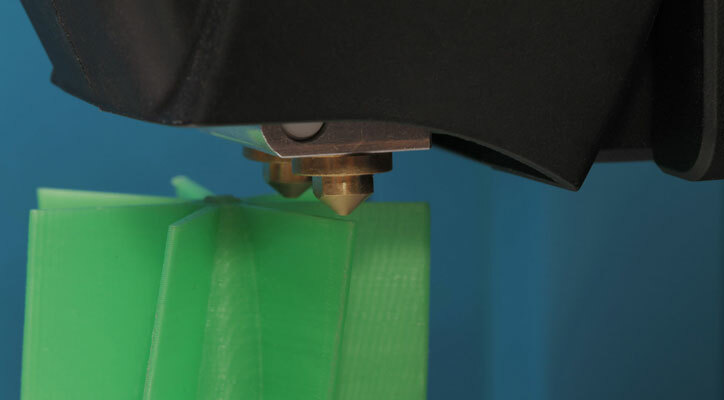 By using a Bowden tube extruder, the weight of the printing head is kept to a minimum, allowing for much faster extrusion and travel speeds without affecting print quality. 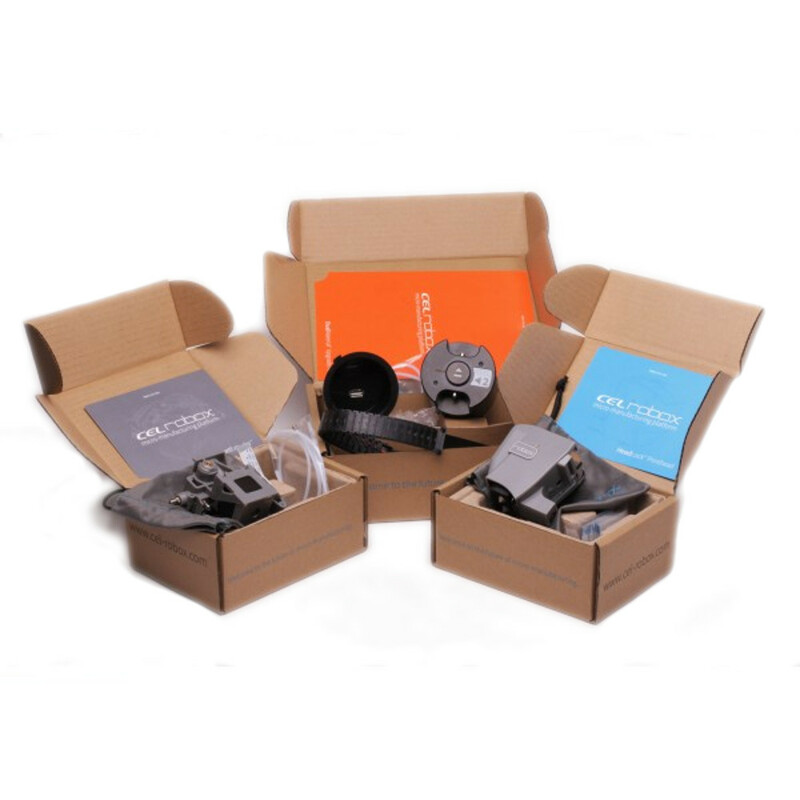 In addition, the Robox printer extruder features a dual-pinch-wheel extrusion system that provides consistent, reliable operation with complete control and remarkable resolution. 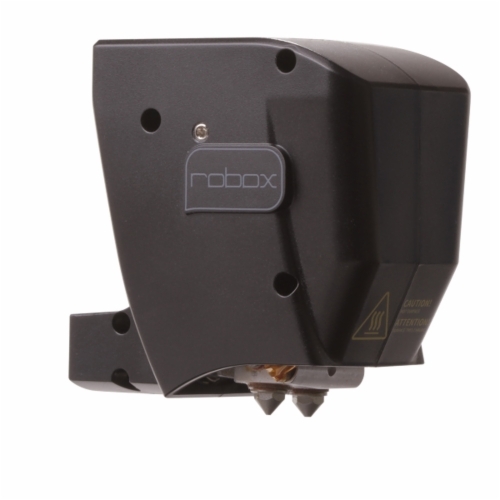 The Robox designers have over-specified the stepper motors for all the motion axes, so that the Robox can cope with all future head developments without a hitch. The Robox uses 2mm pitch belt drives for the X and Y axes and a custom-machined 0.5mm pitch Z axis screw. 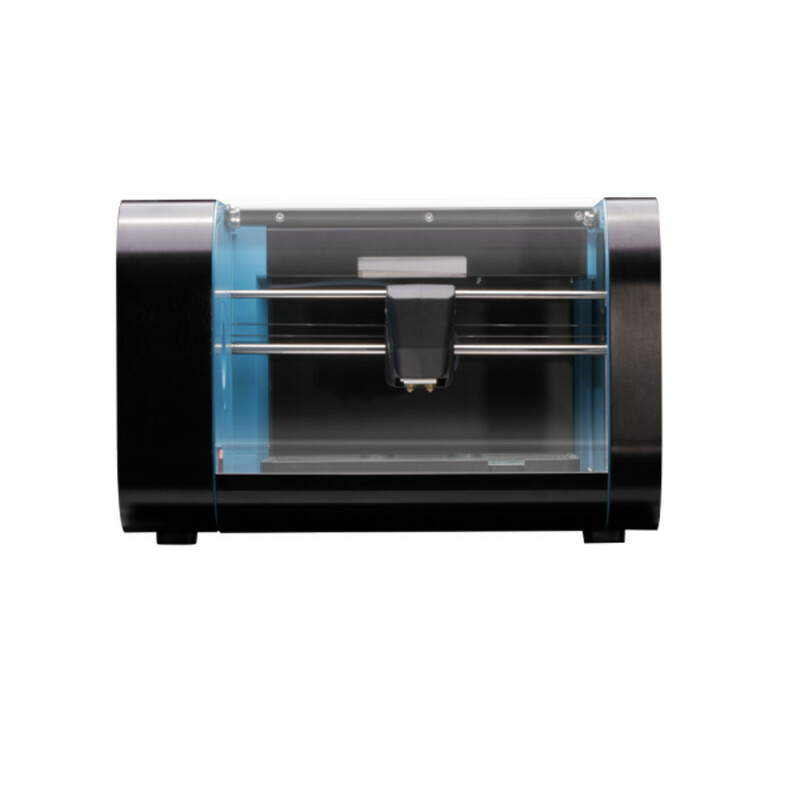 All of the motors are designed specifically for the printer, resulting in the highest theoretical accuracy on the market — as well as super-fine layer height. Because of its heated build platform, the Robox can maintain approximately 50°C ambient temperature in the build chamber. 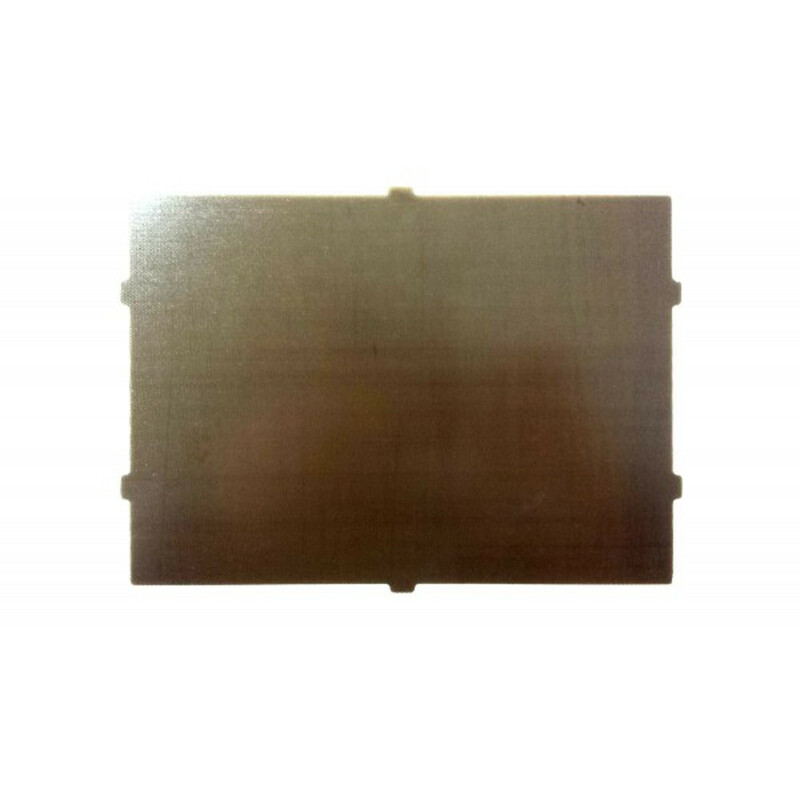 This stable environment helps to maintain part accuracy and print quality by preventing uneven cooling. The only downside to having a heated build platform is that the ambient temperature can be too hot for the motors and electronics controlling the printer — so these are all housed outside the build chamber and actively cooled by outside airflow to keep everything running smoothly. AutoMaker is the software used to layout your models, view the status of Robox, and adjust the settings used during printing. AutoMaker is available to download and can be installed in most languages on many operating systems including Windows, Mac OS X, and Linux. 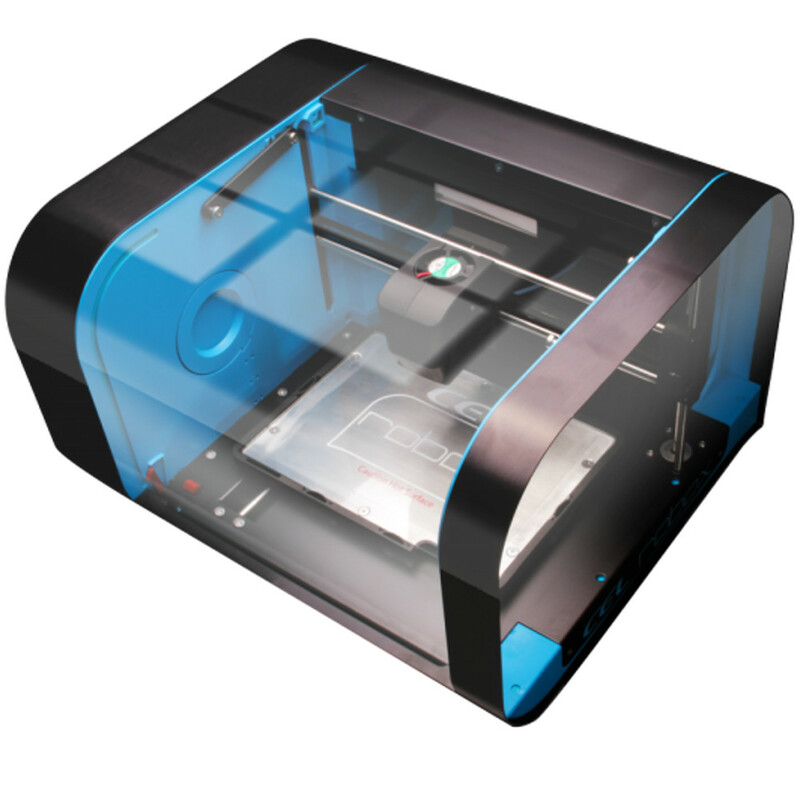 Connect a Robox to print in draft, normal, fine, or custom in 3 simple steps. Opening the advanced tray enables a huge array of settings, each of which is clearly described and organized. Save custom settings if you want to repeat a print or share it with other users. AutoMaker is designed to make 3D printing easier — spend more time designing parts to print rather than fussing with print settings. The default settings are tried and tested and enable anyone to get consistent and repeatable results every time. Advanced users have all the control required to satisfy even the most complex print jobs, and they are easily able to share their custom profiles with all of us. 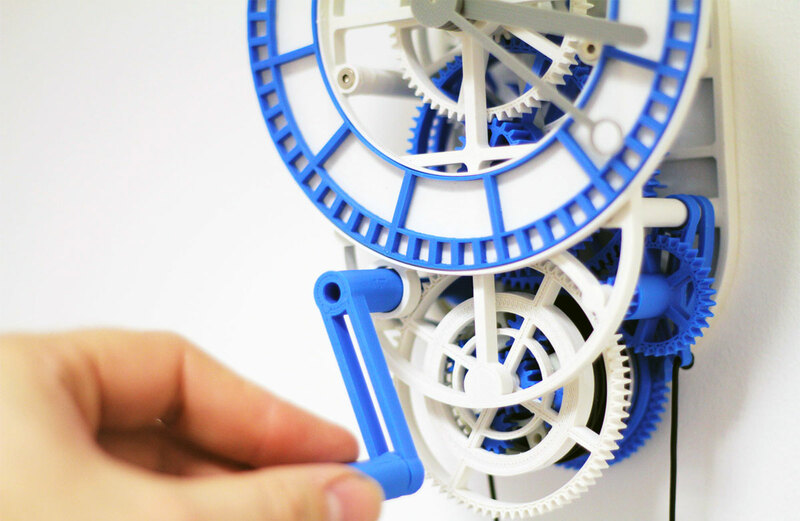 The Robox extruder contains the world's first dual-pinch-wheel extrusion system. 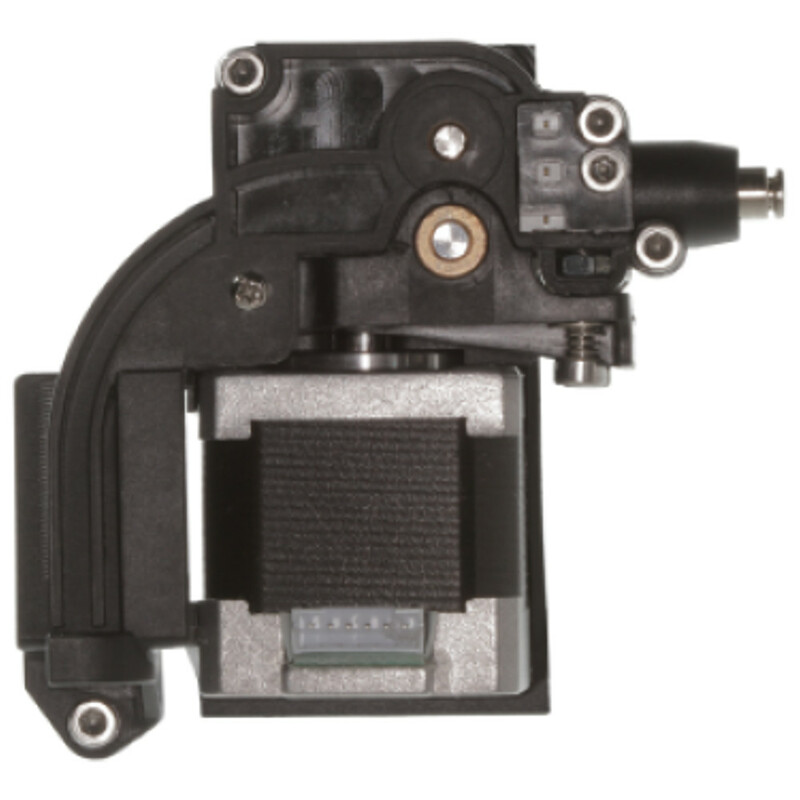 This allows for very consistent and reliable extruder operation as well as excellent resolution and control. The filament is fed to the printer head by two indexed contra-rotating feed wheels, which are powered by a worm-and-wheel gearbox. 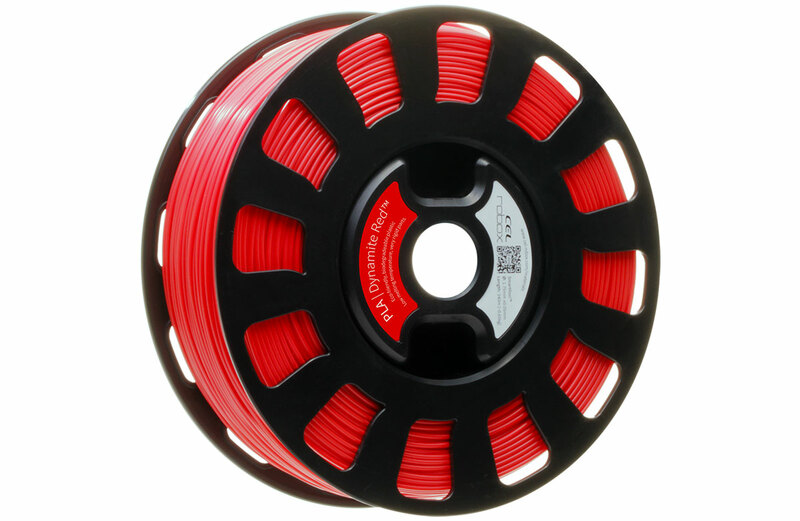 This arrangement virtually eliminates any possibility of stripping your filament, causing a loss of extrusion and poor print quality. The filament extruder incorporates a closed-loop feedback system for monitoring the motion of filament as it enters the extruder, giving it the ability to instantly recognize extrusion issues. 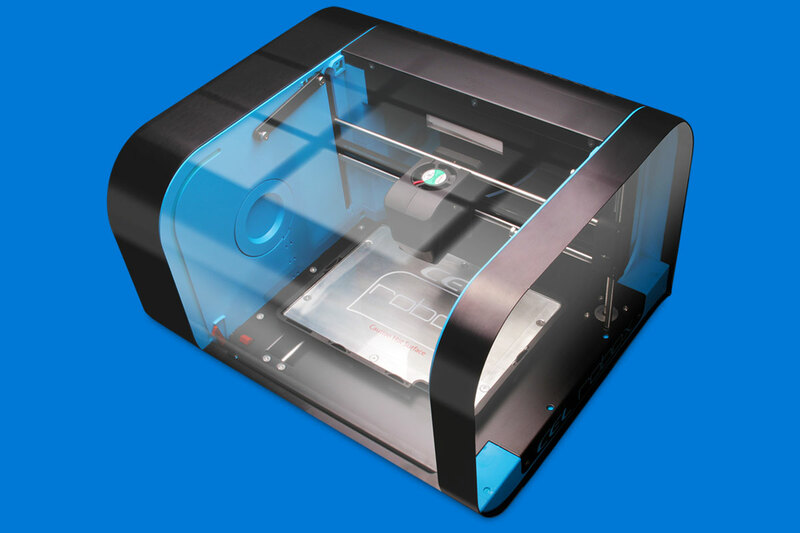 The software can pause the print if any error is found, allowing the user or firmware to rectify the problem without ruining the entire print. A long-awaited feature on 3D printers is resume — the user can restart the print and it will continue from where it left off. Another problem typical of 3D printers is ooze: the stringing and over-extrusion at the end of a section of printing. Most 3D printers compensate for ooze using a retract, but this technique is not always effective. 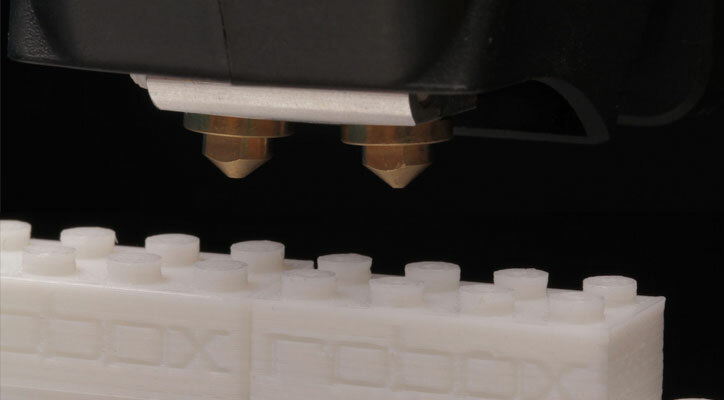 Robox has solved this problem by using a needle-valve system that completely closes the nozzles at the point of extrusion, removing all stringing and blobs from the part, resulting in an amazing surface finish. 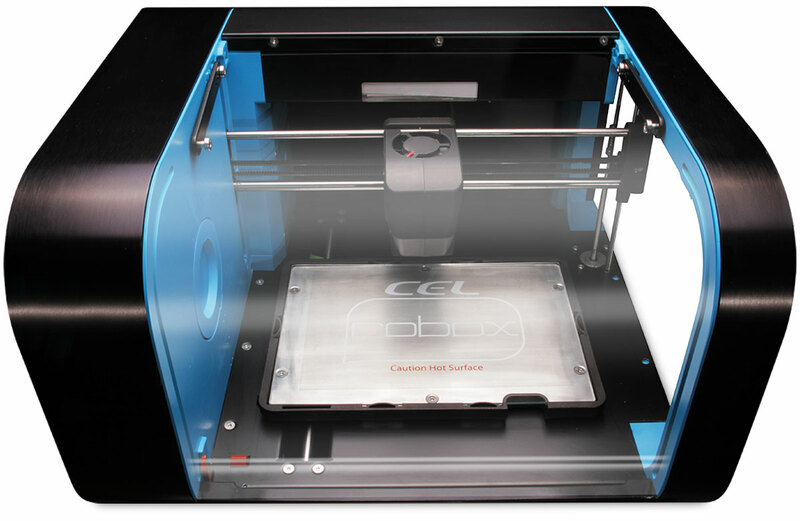 Robox is also able to use a much wider range of materials than any other 3D printer. 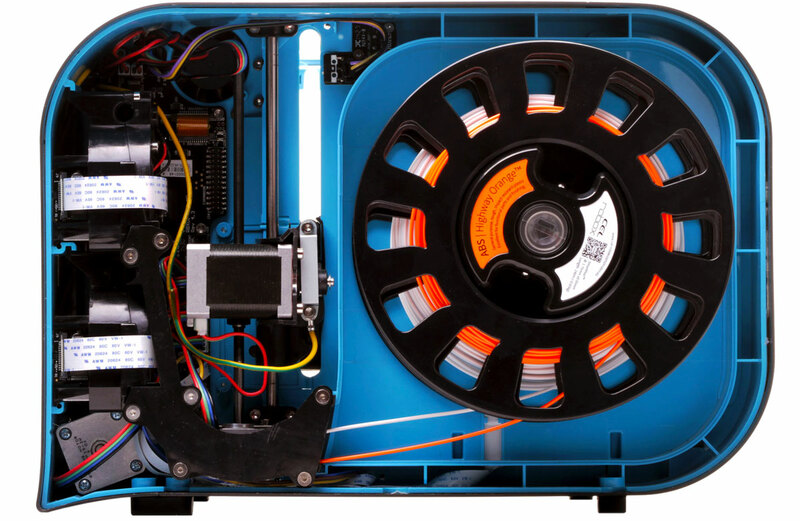 Robox materials are supplied on a SmartReel that holds data about temperature settings, print speed, diameter, and even the amount of filament used on that reel. SmartReel filament makes printing very easy — simply load the filament and AutoMaker will automatically change to the settings saved on the reel. 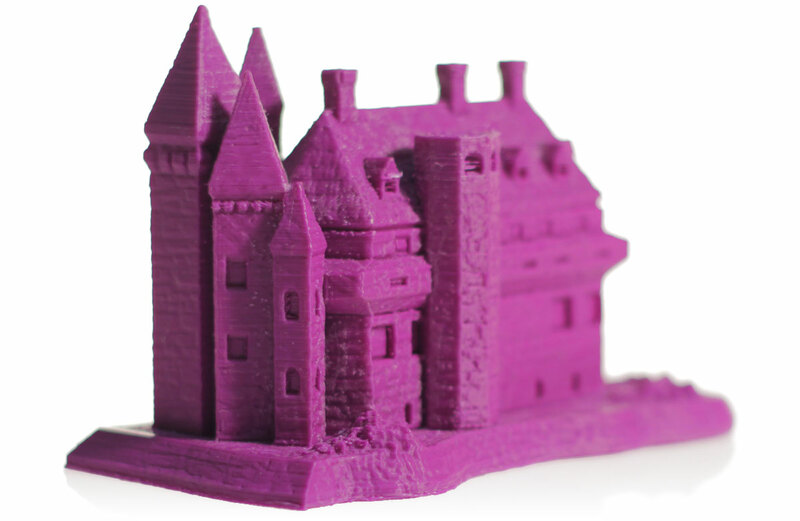 Robox currently allows you to print in PLA, ABS, HIPS, Nylon, PC, and PVA. The Robox designers are constantly testing additional materials, too. Each release of AutoMaker includes the latest profiles for each type of filament, and these are automatically updated when an unmodified Robox SmartReel is loaded. 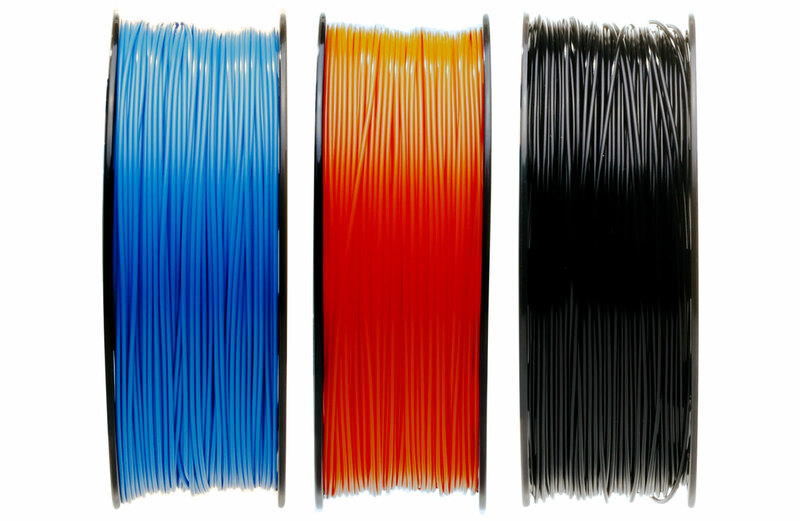 Anyone can share filament profiles created for various materials, even if they aren't supplied on a SmartReel. Robox can use filament from any brand — you don't have to use the SmartReel system if you don't want to. If you want to use another 1.75mm diameter filament, just feed it in and tell Robox to get the filament data from a file rather than reading the SmartReel. You can download this file or create your own by copying the default Robox profiles, and then editing them within AutoMaker or via a text editor. You can also write your saved data to a SmartReel at any time. Please Note: This unit usually ships within 1-2 business days from the date of order. Returns are accepted only for repair or replacement of defective units. Warranties extend only to the original purchaser of the Product. Unless otherwise specified, the warranty on the original Product, as delivered, extends for two years starting on the date of delivery. 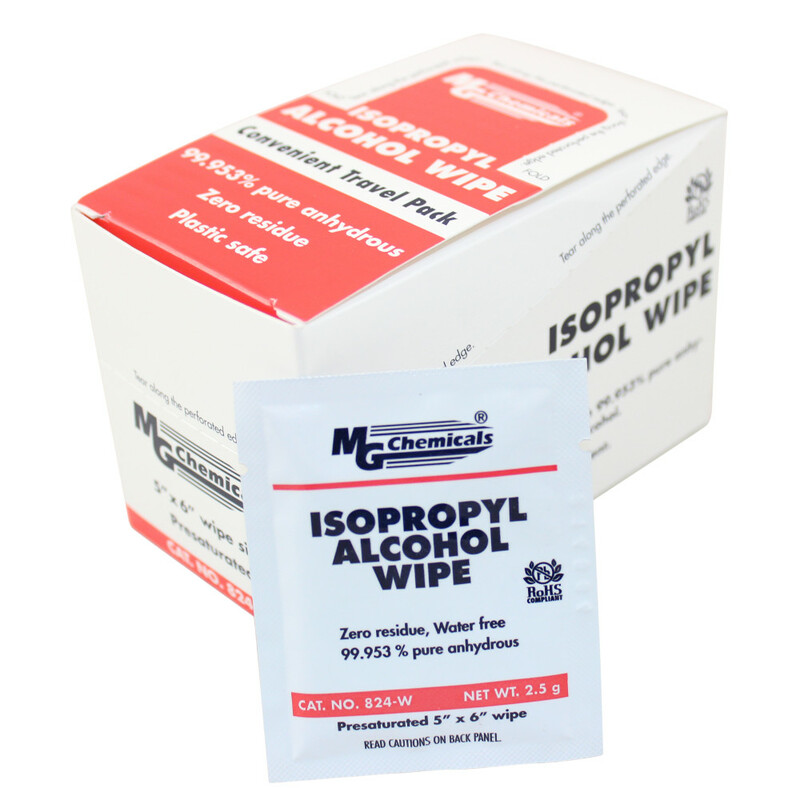 Authorized distributors and/or resellers have the rights to adjust and/or finalize the properties of the warranty, including but not limited to the duration of the warranty, subject to local regulations. Your sole remedy as purchaser under this Limited Warranty shall be repair or replacement as provided herein. 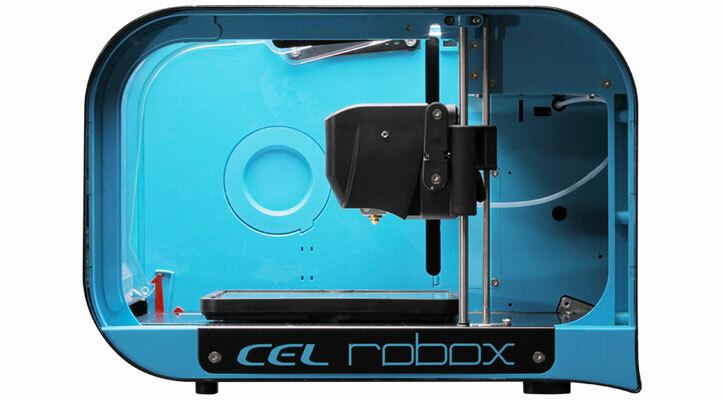 To preserve your warranty rights, Products must be installed in accordance with the then-current User Guide available at www.cel-robox.com/downloads. During the Limited Warranty period, CEL or its' designated representative will, at their option, repair or replace a defective Product as set forth below. Service Parts and replacement Products will be furnished on an exchange basis, and will be either new or refurbished. All replaced parts or replaced Products become the property of CEL, and you will be invoiced for replacement parts if defective parts are not returned as directed by CEL under this Limited Warranty. 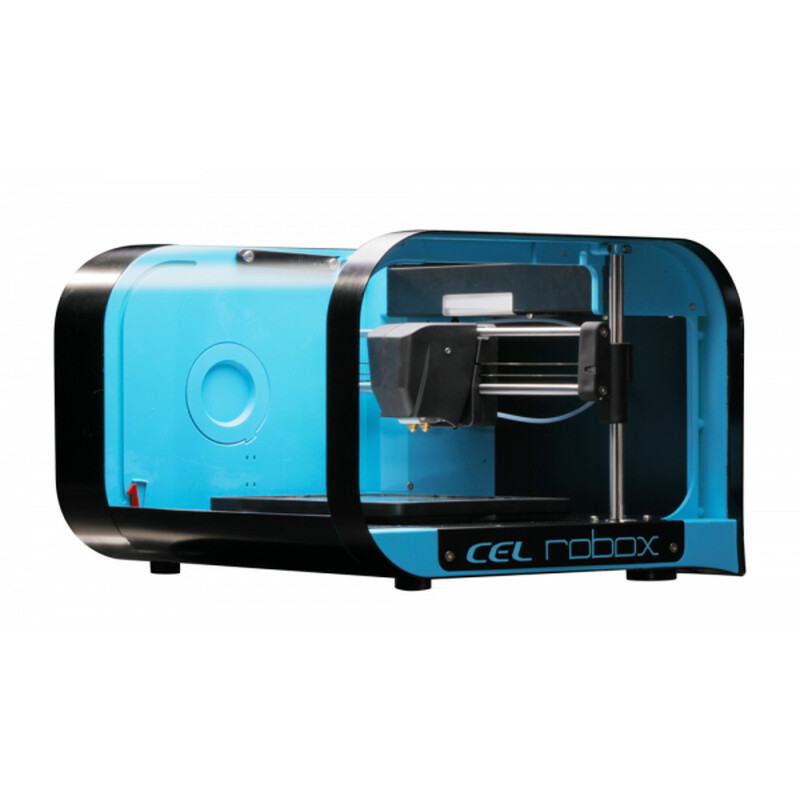 This warranty covers all non-consumable parts while used in accordance with official CEL documentation, CEL Robox filaments and with AutoMaker or CEL approved software. CEL has specifically tested and tuned "Simple Mode" in AutoMaker to ensure reliable, repeatable and safe results using these settings with Robox SmartReels containing official material profiles. 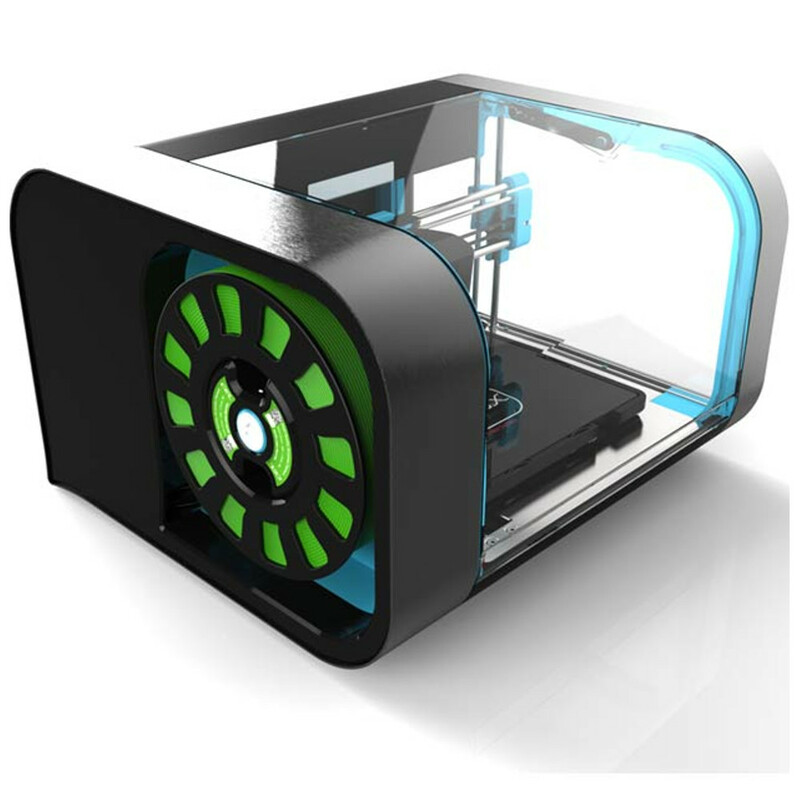 "Advanced Mode" is for users who are experienced with 3D printing and want a higher level of control. The controls available in Advanced Mode can create situations and combinations of settings which can harm Robox components or create dangerous conditions with some materials. 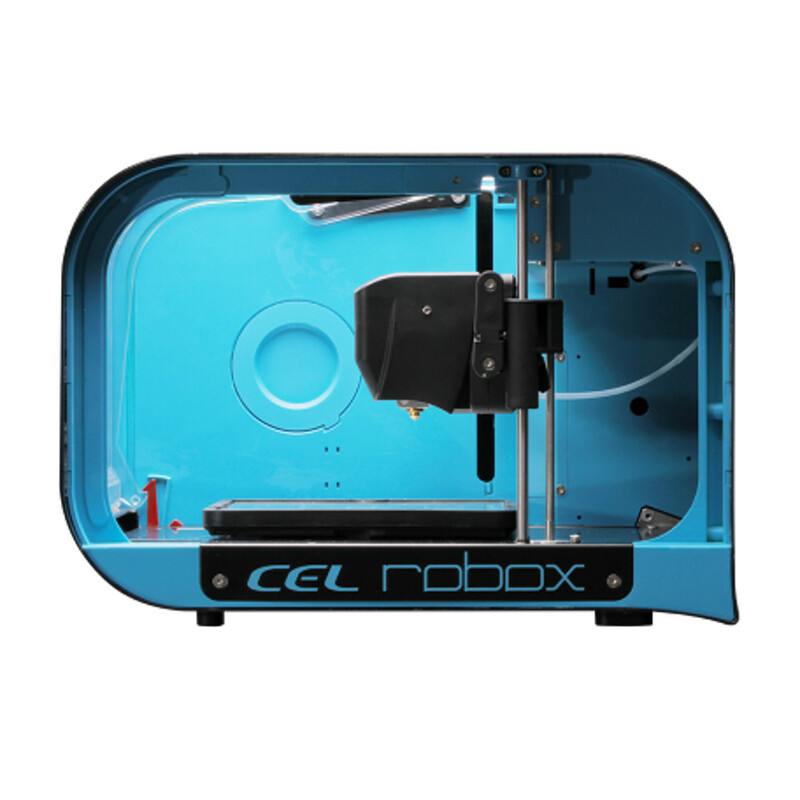 Robox is capable of using 3rd party filaments which are not part of CEL test procedures and users are responsible for the safe use of these materials. When Advanced Mode or 3rd party filaments are used, affected components will not be covered by the CEL limited warranty. CEL will bear the cost of returned parts, provided that you report the warranty claim within the Limited Warranty period and obtain return instructions from CEL prior to return. CEL will not be responsible for any shipping costs or other charges associated with these repairs. These terms only apply if CEL or its' designated representative determines that a fault is present. 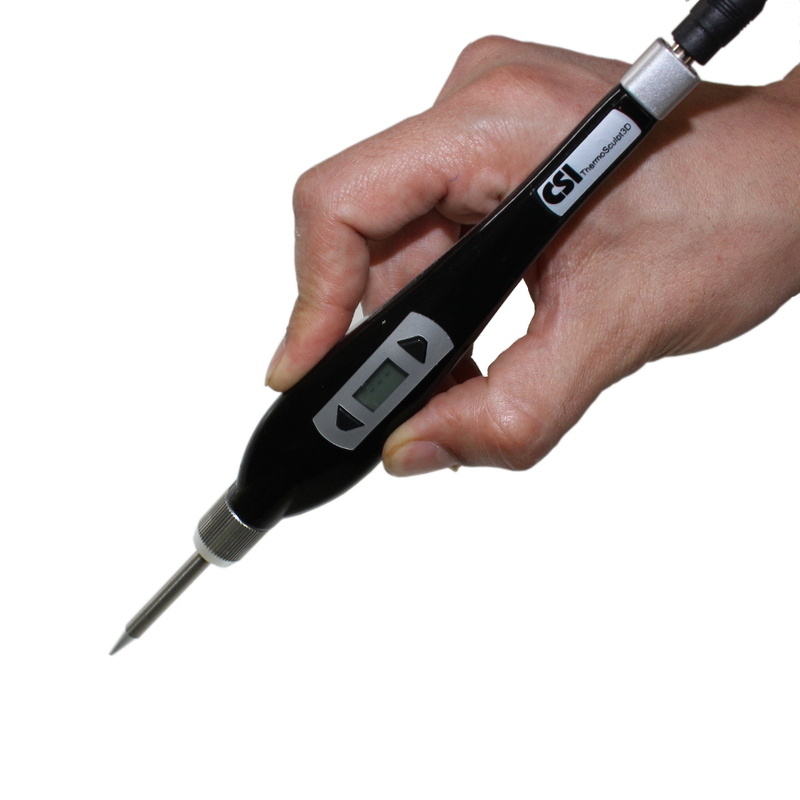 If no fault is found, the purchaser will bear the cost of all labor, materials and shipping. Replacement parts independently carry a 90-day warranty from date of shipment from CEL or designated representative location. Consumable parts are not covered by this Limited Warranty (these include the printing head, PEI bed sheet, filament, and extruder). Warranty services may be provided by CEL, an Authorized Reseller, or a third party service provider designated by CEL. 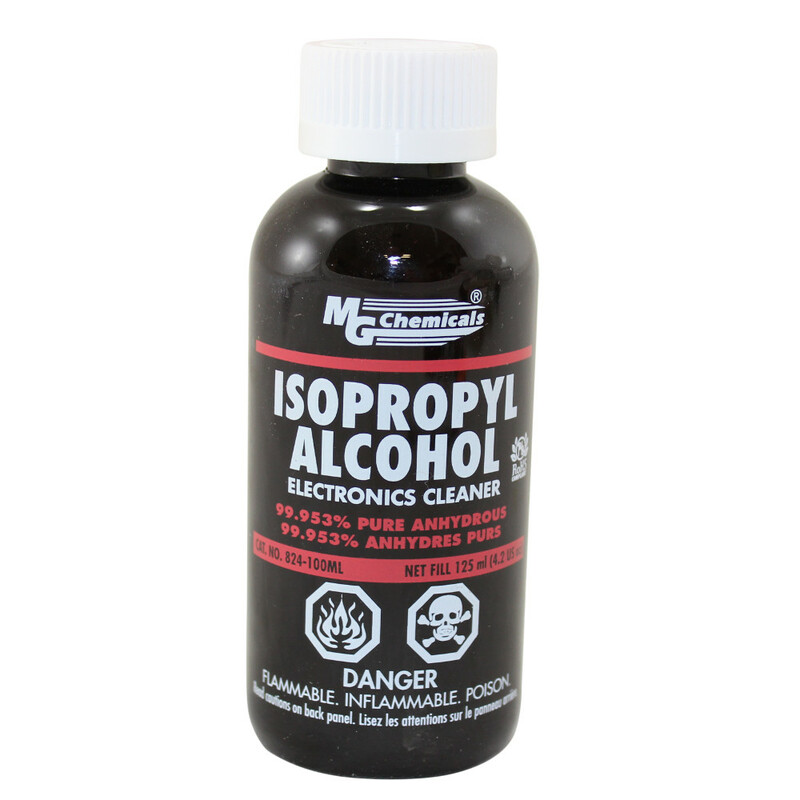 (a) The Product has been subjected to abnormal use, improper or inadequate maintenance, unauthorized modifications, unauthorized repair, misuse, abuse, exposure to moisture, flooding, fire, electrical problems associated with incoming power, or other acts which are not the fault of CEL Technology Ltd.
(b) CEL's Customer Service Department was not notified of the defect or malfunction of the system prior to expiration of the warranty period that was offered. 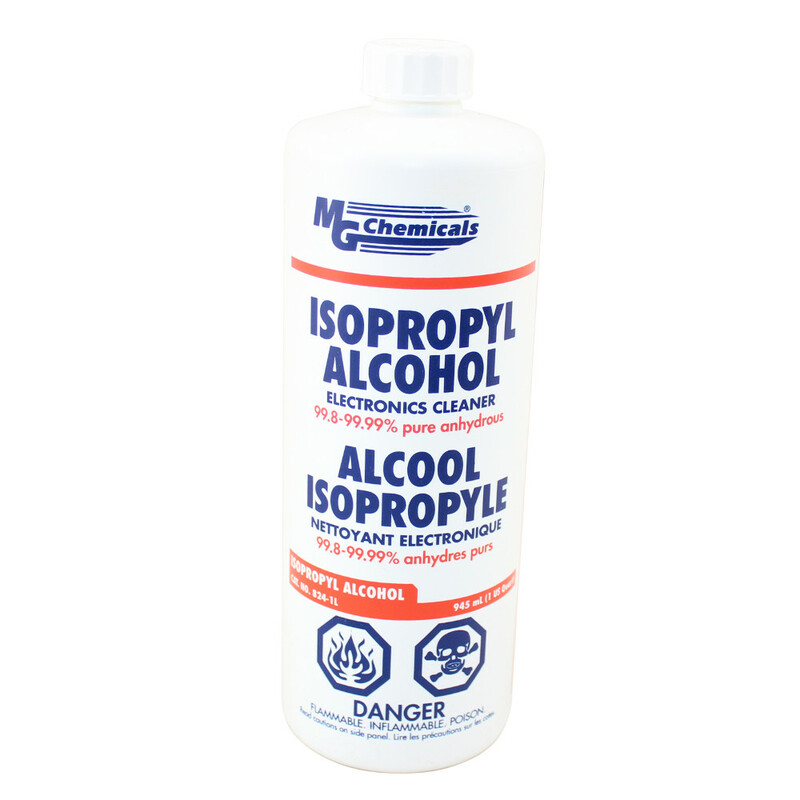 (c) Parts or consumables were installed and used that were not certified or approved by CEL. CEL will also not be liable under any circumstances for Product replacement or associated labor, loss of use, loss of profits, or for any other indirect, incidental, collateral, exemplary, punitive, consequential or special damages, or losses arising out of the purchase of the Product and/or out of this limited warranty, even if CEL or its' designated representative have been advised of the possibility of such damages or claims. To the extent such claims are not excludable as adjudged by a court of competent jurisdiction; you agree to accept as sole and exclusive remedy, a payment equal to the original purchase price for the product adjudged to be defective.